First announced to the world at Skycoin’s Launch Conference in April 2018, ApolloChain is an innovative startup that’s building a clean energy trading platform based on smart contracts. ApolloChain’s aim is to help facilitate a decentralized power grid and allow individual users of the energy system to conduct electricity-based commerce directly with one another. As essentially every industry in the world has stopped to consider the potential application of blockchain, the energy industry has followed suit. Blockchain has widely been studied for its use in the energy field, and ApolloChain represents an ambitious stab towards a “disintermediated” energy trading system. This article is a breakdown of all things ApolloChain. But in order to grasp the potentially revolutionary nature of this project, you first must understand some core issues. What’s wrong with status quo energy systems? And how can blockchain make them better? What Problem Is ApolloChain Solving? Since the industrial revolution, the power systems of the world have remained (in relative terms) somewhat static. Coal, oil, natural gas, and other combustible materials were collected and often burned near the source. As time went on (and populations became more dispersed and the sources of energy further removed from civilization), extensive power grids sprung up to distribute energy to consumers. This method has numerous problems, not to mention the use of fossil fuels. This time-honored model is currently undergoing a sea change. Renewable energy (wind, solar, etc.) is growing at an irrepressible clip. According to KPMG’s paper on global trends in renewable energy, investment and consumption of renewables has gone up almost 20% in the last decade. Another development is that affordable micro-generation is also now available, allowing consumers to bypass long-distance power transportation costs (a primary existing problem). This also opens the door for consumers to trade energy on a direct, P2P basis (in countries with deregulated energy industries like Australia and the US). Deregulation is key because it allows consumers the choice of who to purchase electricity from. 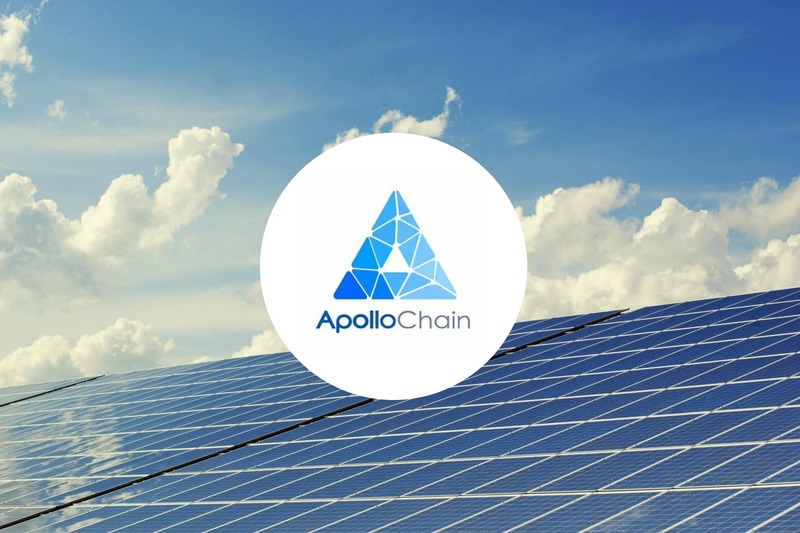 ApolloChain envisages a future where renewable energy, running on smart grids in deregulated markets, is the default, and their platform is there to empower users of this system. Apollo’s vision is to give people the ability to play a role in all aspects of energy production and consumption. This new blockchain-supported smart grid will (among other things) cut out long-distance power transmission loss, make distribution more efficient, and aid users when public networks are down. Ultimately, what all of this amounts to is a disruption of the existing energy industry power structures and another strong push toward a renewable future. Based on Skycoin’s Fiber Platform, ApolloChain is building an open-source blockchain system. While not a public blockchain, the ApolloChain platform will be its own blockchain with an associated client. In the future, people are going to have both consumer and producer identities, and will need some way to facilitate/organize their interaction with the market at large. The ApolloChain platform is the solution to this problem and will have 3 essential layers (as seen below). The first layer is built to handle interactions between renewable energy systems and buyers/sellers/traders of electricity. This transactions layer is meant to provide handy, user-friendly, and trustworthy blockchain applications. All user activity starts and stops at the first layer. All the relative interactional/transactional data is then passed to the “extended” (second) layer which houses smart contracts. The smart contracts arbitrate, exchange, and allot resources as designed, and all the data eventually makes its way to the blockchain (third) layer to be immutably recorded and stored. ApolloChain wants to be part of deregulated and retail energy markets all over the world, and is striving to gain some (existing) foundational users who can act as producers, wholesalers, or consumers of electricity. Building a smart grid of this type allows for demand-side users to play an active role in the entire process. This can take the form of tie-ins to existing centralized grids and the creation of micro-grids. Which brings us to another key feature: smart meters. A smart meter is an electrical meter that is “intelligent.” These so-called smart meters are unique in that they record users’ consumption/production and behavior data, and use said data to reducing scheduling costs and guide consumers to more rational decisions. This is achieved through electricity cost notification, real-time pricing, and power cut schemes, etc. Smart meters will also (crucially) directly communicate purchase/sale data to the blockchain, ensuring that users’ information will not be stolen or forged. As the device at the heart of a functional smart grid, smart meters are very important, and they tend to be more at risk in a centralized system. If there is a single point of attack or failure, the odds of something occurring that causes economic or production losses goes up substantially. ApolloChain has a ready-made solution to this issue. The ApolloChain team is also working on Smart Energy Storage Systems (SESS) and the ApolloChain app. The SESS is at the core of the smart grid’s ability to generate and store power, and beyond conventional storage duties, an SESS can communicate with all system entities, thus creating another level of data safeguard. The app will be the portal through which end-users interact with smart meters, SESS, and the Apollo blockchain. There’s been a lot of hype regarding P2P sale/trade of electricity in Australia (and elsewhere) but it should be noted that this largely hasn’t caught on except in terms of a very small scale (i.e. in a caravan park or retirement village). This is, to a degree, a problem of incentives. There are currently over 2,000,000 homes with solar panels in Australia, and with improved storage capacity they’ll soon be able to shift their output to the public. But right now there isn’t much reason to do so. With energy retailer arrangements, individuals can become energy wholesalers and thereby reap the rewards of what they contribute. 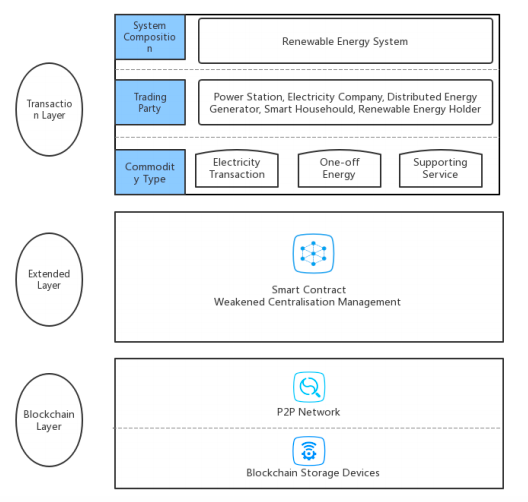 Extensions to this concept (aided by the ApolloChain platform) include crowdfunding of utility-scale power stations, share farming of energy and various peer-to-peer transactions like load sharing and distributed EV charging stations. Having the ApolloChain blockchain supporting this new system greases direct trading by allowing a retailer to collect important demand-side data and to verify customer actions. Also, via the APL token (discussed below), there is a quick and easy way for producers to be remunerated. Like most other blockchain projects, ApolloChain has its own native token, APL. The APL token is designed as the “electronic proof of electricity transactions”, and it will have a positive correlation to the amount of electricity available for trade. It’s also unique among other tokens in that its issuance logic has built-in “reverse buffering” mechanisms to address depreciation. 100,000,000 APL tokens have been created, with 40% being allocated for “1st round” funding via ICO or private funding. An additional 30% of tokens will go to the founding team based on “installed capacity growth”, and 20% has been been earmarked for PR & marketing budgets. The remaining 10% will go to community rewards and the Apollo Foundation. ApolloChain’s pre-ICO is set to run from May 5, 2018 to June 15, 2018, with a soft cap of US$500,000 and a hard cap of US$1 million. What Value Is ApolloChain Creating? Many blockchain projects fall into the trap of being solutions in search of a problem, but in the case of ApolloChain, this couldn’t be further from the truth. We’ve covered the problems ApolloChain is addressing and quickly reviewed some of its key functionalities, but how does this all equal value added? To summarize, ApolloChain gives people the ability to participate in clean energy – from investment to production to transportation, trading, and consumption – giving them a share in the dividends of a burgeoning industry. Users can gain an increased understanding of their households’ energy consumption, thanks to the smart meter. Users can build their own production system and sell raw energy to other users directly on the platform. Users can set up automatic payments and electricity charging by charging piles through ApolloChain. Users can take part in power crowdfunding and garner an investment income through participation. Led by CEO Craig Nalder, the core ApolloChain team has extensive expertise in blockchain, banking, power station development, and energy markets. ApolloChain has signed 3 strategic cooperation memos with business partners in Australia, India, and Singapore. Plans are also close at hand to begin piloting a microgrid in Australia. Given their ambitious vision, the ApolloChain team has a lot of work ahead of them. There is engineering work to be finished on smart meters, the app needs upgrading, and the microgrid mentioned above has yet to be launched. There are also marketing efforts to be ramped up and ApolloChain has competitors too, most notably Power Ledger. But for anyone with whom the ApolloChain vision resonates, these are exciting times. Blockchain technology is specifically well-suited for P2P commerce of almost any kind, and energy trading is no different. ApolloChain’s blockchain-based approach will offer up data interaction, efficiency, and information security benefits never before seen. Let’s face it, the world needs better energy systems and this is one reason why it’s so easy to get onboard with ApolloChain. To learn more about ApolloChain (and stay up to date) you can follow them on Twitter, visit them on Facebook, join the conversation on Reddit or stay in tune via Telegram. Visit their pre-ICO site for more details and to participate in the token presale.